Conan does better than me—he ultimately solves his riddle of steel. 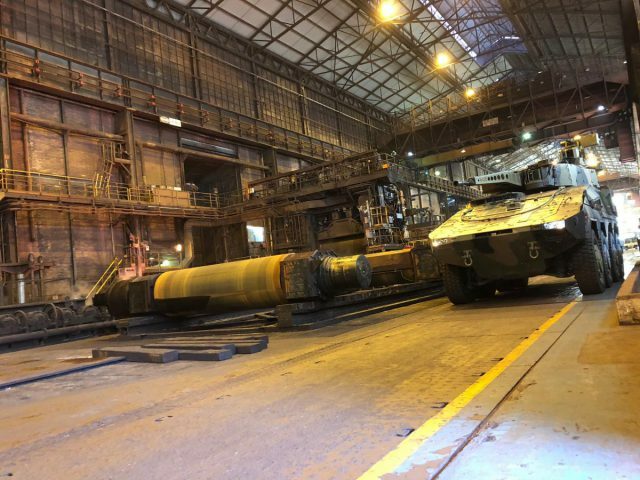 I, however, am still struggling to understand why politicians, the media, unions and other commentators are obsessed with the amount of steel in defence projects. And not just any steel, but Australian steel. Questions on whether defence projects are mandated to use Australian steel, and how much, are now an almost mandatory feature of Senate Estimates hearings. 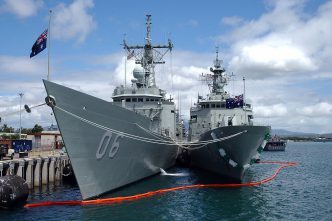 Australian steel isn’t only being used in equipment being built in Australia, but the Defence Department has encouraged Navantia to use Australian steel in the replenishment ships it’s building for the Royal Australia Navy in Spain, so Australian steel has been shipped to Spain. Considering that construction started using Spanish steel, we can’t make the case that the Spanish steel wasn’t suitable. 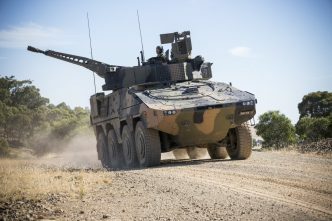 Rheinmetall has stated that the 211 Boxer combat reconnaissance vehicles it’s building for the army will use over 2,000 tonnes of Australian steel. That sounds like a lot, but how much is it? Let’s consider a public sector comparison. Here in the nation’s capital, the territory government is building a light rail line. Its first stage will run 12 kilometres from the north-western suburban centre of Gungahlin to the city centre. All up, the project is using around 7,500 tonnes of steel between the rails themselves and steel for general construction such as rebar. So even a relatively modest infrastructure project is using a lot more steel. If Canberrans don’t recall Chief Minister Andrew Barr proudly proclaiming that our citizens will be travelling on Australian steel, that’s because there was no requirement for the project to use Australian rails. Because of their metallurgical characteristics, the rails are sourced from Austria (although as part of the project’s environmental plan, as much of the rebar as possible is sourced from domestically recycled steel). But 2,000 tonnes has got to be worth a lot, and must inject a lot of money into the local steel industry, right? So let’s look at what steel actually costs. The price varies by type and by producer: European steel costs around AU$700–1,250 per tonne, and US steel around AU$750–1,350 per tonne. Chinese and Indian steel is much cheaper—hence the woes of Western nations’ steel industries. Even if we go with a cost of AU$2,500 per tonne (that is, twice that of steel from Europe or the United States), the total cost of the Australian steel in the Boxers is $5 million—or 0.1% of the project’s total budget of $5.2 billion. Granted, military equipment uses specialised alloys that may cost even more, but we still have a way to go before the cost is a major part of the budget. But even if it isn’t a lot of money, maybe it’s a lot of Australia’s steel production? Australia ranks only 23rd in global steel production, but that’s still 5.3 million tonnes in 2018, ranging from around 390,000 to 490,000 tonnes per month. So 2,000 tonnes is only around one-seventh of the Australian steel industry’s daily production. But what about the projects that will really use a lot of steel, like the future frigate project? That project will produce nine frigates, each of around 7,000 tonnes. According to the RAND Corporation, around 45% of a warship’s weight is steel. If we call it 50%, then that’s 31,500 tonnes of steel in nine frigates, or a bit over two days’ production. The future frigate project is meant to cut steel in 2020 and will deliver the final ship after 2040, so that’s two days’ production spread over 20 years, or around 0.03% of Australia’s steel production. Taking our assumed cost per tonne, we get a total steel cost of around $80 million. That sounds like a lot, but its only 0.25% of the total project budget of over $30 billion. Apparently the future submarine project is doing a steel study, so it’ll be interesting to see what conclusions it draws, if they are made public. But with the parametric cost of submarines over AU$700,000 per tonne, the cost of steel at a few thousand dollars per tonne is unlikely to be a major cost driver, even taking the specialised nature of submarine steel into account. None of that’s to say that a healthy steel industry isn’t an important part of Australia’s economy. But using local steel in defence equipment projects won’t be the saviour of the local steel industry. Construction and other infrastructure projects will play a far greater role. On the flip side, with steel being such a minor component of the overall cost of defence projects, the higher cost of Australian steel will make little difference to the capability outcome. Requiring the use of local over imported steel will likely not be the difference between our ability to afford eight rather than nine frigates, or eleven versus twelve submarines. 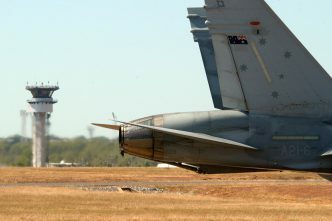 But, as with the unhelpful parochial cheerleading that now envelops defence projects, the focus on Australian steel distracts from hard discussions about what industrial and scientific capabilities Australia needs to create, produce and sustain military capability, as compared to what we can more sensibly import. 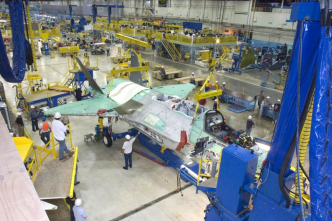 There are things that are in shorter supply than steel and are more vital to the success of military capability in the 21st century—things such as software development and systems integration skills, for example. The evil Thulsa Doom gives Conan his answer: ‘Steel isn’t strong, boy, flesh is stronger.’ So maybe one answer for us is that human capital and skills are more important than the raw materials. Another answer to the riddle can possibly be reached by doing the following experiment. Stare into the distance, narrow your eyes slightly (into a steely glint), raise your fist and slowly intone ‘Australian steel’. Now repeat, but instead say ‘Australian software development and systems integration’. Which sounds better? Which gives you more of a man-of-steel feeling? Marcus Hellyer is senior analyst for defence economics at ASPI. Image courtesy of Bluescope Steel via Twitter.